BELLEVUE, Wash., April 11, 2019 /PRNewswire/ -- Expedia Group (NASDAQ: EXPE) will report its first quarter 2019 results for the period ended March 31, 2019 on Thursday, May 2, 2019 via an earnings release and accompanying webcast. These items will be available in the Investor Relations section of the company's corporate website at http://ir.expediagroup.com. The earnings release will post after market close and the webcast will begin at 1:30 PM Pacific Time / 4:30 PM Eastern Time. A replay of the call is expected to be available for at least three months. 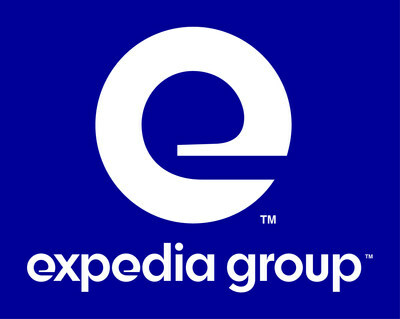 Expedia Group (NASDAQ: EXPE) is the world's travel platform. We help knock down the barriers to travel, making it easier, more enjoyable, more attainable and more accessible. We are here to bring the world within reach for customers and partners around the globe. We leverage our platform and technology capabilities across an extensive portfolio of businesses and brands to orchestrate the movement of people and the delivery of travel experiences on both a local and global basis. Our family of travel brands includes: Brand Expedia®, Hotels.com®, Expedia® Partner Solutions, Vrbo®, Egencia®, trivago®, HomeAway®, Orbitz®, Travelocity®, Hotwire®, Wotif®, ebookers®, CheapTickets®, Expedia Group™ Media Solutions, Expedia Local Expert®, CarRentals.com™, Expedia® CruiseShipCenters®, Classic Vacations®, Traveldoo®, VacationRentals.com and SilverRail™.